It appears to have no DVLA history listed, so has been unregistered with this number since the mid/late 1970's. 141 DPF – What do you think? Ashley? 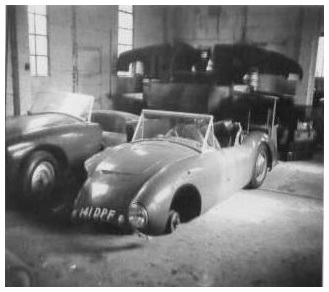 Turner Chassis underneath – There is a photo of it For Sale June 1958 Motor Sport Magazine. and shows the car at Pendeford awaiting repairs. The car shows a little bit of the drivers side wing damage and it's awaiting repairs at Pendeford Aerodrome in Wolverhampton where Turner car production continued until early 1966.